I believe all WL skiers love skiing on the white snow, it is very fun and wonderful time, isn’t it. For a long time XC ski is only classical style with grip wax. But from 1984 skating ski is getting more and more popular for the XC ski technique. After that we skied CT or FT for the race and training. From ten years before, only double poling ski style is popular for the classical ski race, without grip wax and long poles, some top skiers use skating ski sets for the classical ski race with double poling technique. For the elite skiers only double poling is important technique for the race, but it is not important for the ordinary skiers, we enjoy skiing with classical and skating style, it is enough. Recently we know a new style skiing for the WL ski race. It is easy and no effort to skiing to the finish line, very strange system for getting finishers stamp. This style of skiing does not need training, waxing and skiing!! You just need to put your timingchips on your friends body and waiting for him at the finishing line. Then you can get one WL stamp without skiing at all!! But is it fun? Do you like it? We WL skiers love skiing, but NOT race-stamps without skiing. 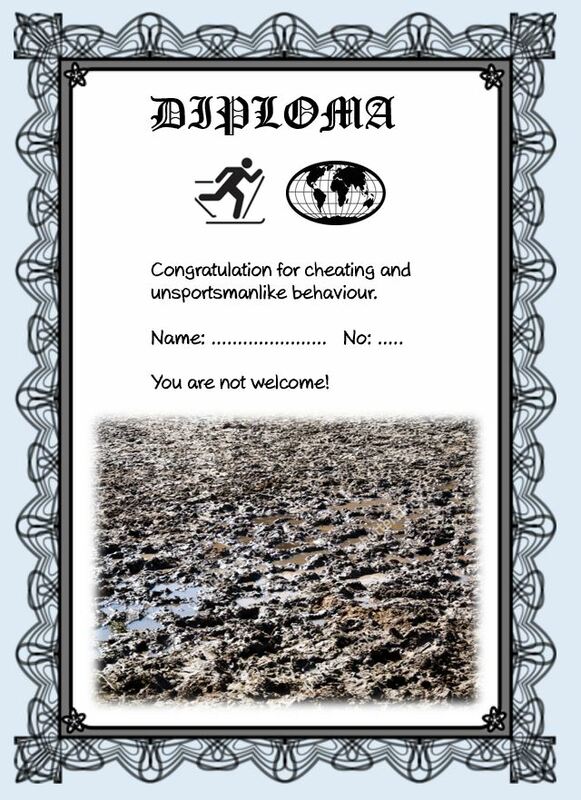 IAWLS wants to present “Dirty Worldloppet Master” title for such a cheating skier. New ski season in 2017 is starting soon, we want to meet our friends on the snow with fair play spirit!! We are true WL skiers!! I was amazed at the rate of procuring the title “Master” of some individuals – the Phantom Masters (a new title), nowhere to be found in certain races that they claimed for the title ‘Master’. I agree, maybe we can also say it’s the top of stupidity! !I love clear cross country ski!